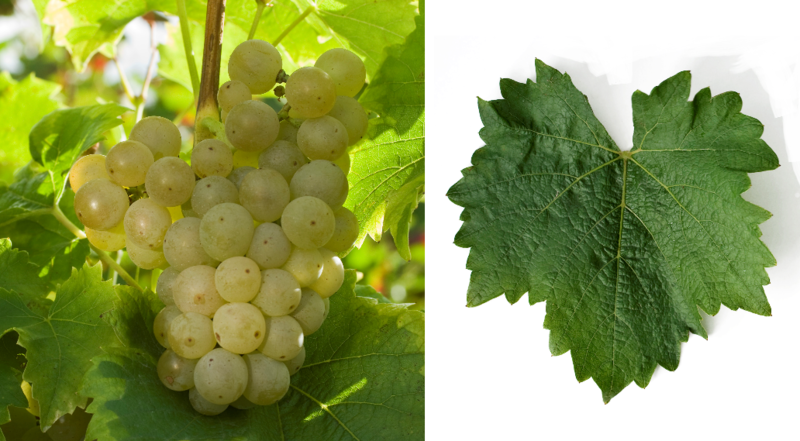 The white grape is an interspecific new breed between Bacchus x Seyval blanc, Synonyms are Recele and VB 86-3. They are genes of Vitis lincecumii. Vitis rupestris and Vitis vinifera contain. The intersection of hybrid was done by the Swiss private breeder and owner Valentin Blattner in Soyhières in the canton of Jura ( Switzerland ). The vine is resistant to the real and fake mildew and is considered PIWI variety, It provides liquor white wines with aromas of grapefruit, lime and Cassis (blackcurrant). The variety is cultivated exclusively in the vineyards of the grower on less than one hectare. This page was last modified at 31 December 2018 at 09:27.